Lawyers Insurance Services takes a solution-based approach that focuses on listening to and understanding attorneys’ business needs. We partner with your law firm to develop a customized insurance program that fits the unique characteristics and risks of your business. We support our insurance programs and products with reliable service, underwriters who know and understand your business, and professionals who understand the challenges presently facing the legal profession. Our staff looks forward to having the opportunity to do an in-depth business insurance needs assessment and/or policy comparison for your law firm. A Commercial General Liability (CGL) policy protects your business from financial loss should you be liable for property damage or personal or advertising injury caused by your services, business operations, or your employees. It covers non-professional negligent acts. Understanding this coverage is an important first step in managing CGL risks. A CGL insurance policy will usually cover the costs of your legal defense and will pay, on your behalf, all damages if you are found liable—up to the limits of your policy. 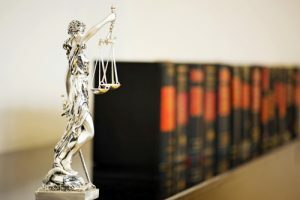 CGL coverage is one of the most important insurance products, due to the negative impact that a lawsuit can have on a business and because such liability suits happen so frequently. Commercial Property Insurance helps your clients recover when certain disasters jeopardize their business assets and real estate. Covered events might include fire, windstorms, theft, or vandalism. Your client can use the payout from their Commercial Property policy to repair or replace items such as office buildings, computers, furniture, inventory, and equipment. 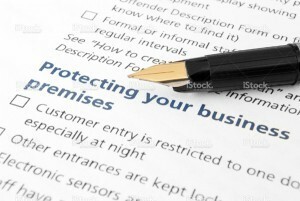 Many Commercial Insurance policies also include Business Interruption Insurance. This policy covers up to twelve months of lost income when certain events force your client to put their business operations on hold. For example, if a fire destroys your client’s workplace, Business Interruption Insurance can pay for the ongoing costs of keeping your client’s business afloat when it cannot generate revenue. Commercial Auto Insurance is a policy of physical damage and liability coverages for amounts, situations, and usage not covered by a personal auto policy. This type of business insurance covers a variety of vehicles. Commercial Auto Insurance, like your personal auto policy, provides similar coverages such as liability, collision, comprehensive, medical payments (or personal injury protection) and uninsured motorist coverage. However, there are also differences between a commercial auto insurance policy and your personal auto policy that may include eligibility, definitions, coverages, exclusions, and limits. Workers’ Compensation is a type of insurance program that insures employees for illnesses and injuries that arise out of the job. The program is mandated by the state, and each state establishes different rules for when an employer must acquire such insurance. Employees benefit from the program by receiving medical care after sustaining an injury or illness that is work-related. Injured employees receive a certain portion of their wages while they are off work for the treatment of such injury or illness, depending on state rules. States also establish their own rate of compensation when an employee loses a bodily member, is permanently disabled, or dies as a result of the work-related accident. Workers’ Compensation is a no-fault insurance program, meaning that the injured employee does not have to go the traditional tort route of proving negligence in order to recover. In exchange, the employee generally cannot sue the employer for his or her injuries. Directors and Officers Liability Insurance protects past, present, and future directors and officers of for-profit or non-profit companies from damages resulting from alleged or actual wrongful acts they may have committed in their positions. The policy provides protection in the event of any actual or alleged error, misstatement, omission, misleading statement or breach of duty. In addition, some policies extend the same coverage to employees. Working with Lawyers Insurance Services has been extremely beneficial for our law firm in NY. I can’t say enough about how well the team at Lawyers Insurance Services handle all the insurance needs for our firm. The team at Lawyers Insurance Services has a great deal of character. They are very trustworthy and provide excellent service! Lawyers Insurance Services has our best interests in mind. They were able to save us a great deal of money on our lawyers malpractice insurance. Lawyers Insurance Services has always addressed our ever-changing insurance needs, back from when I started as a solo practitioner till now at a firm with 15 attorneys. The level of service and professionalism I’ve received from Lawyers Insurance Services is unparalleled. I’ve purchased several products from them over the years and I have always felt confident that I was making the best choice.